Easy BBQ Sauce is tasty on ribs. Great for your next barbecue. RECIPE IDEA: Sweet and tangy BBQ Sauce. 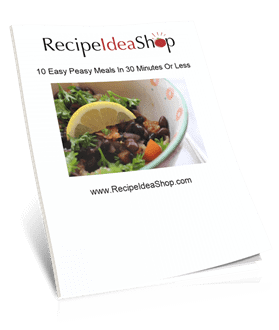 Try it on chicken, pork or beef. Hi. 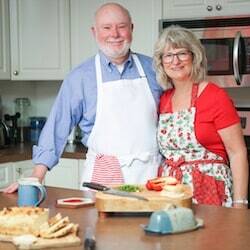 It’s Lois telling you about Don’s creation for Recipe Idea Shop. He recently made Spectacular Grilled Dry-Rub Baby Back Ribs and we had about a half rack left over. We saved it in the fridge and brought it out for lunch a couple of days later. Just for a change of pace Don covered them in homemade Easy (Barbecue) BBQ Sauce and reheated them covered in the oven while I baked Amazing Gluten-Free French Bread. The sauce bubbled and reduced to a sweet glaze that stuck to the ribs. Well almost. Half the fun of eating ribs is licking your fingers to get every delicious bit of BBQ sauce. Making homemade Easy (Barbecue) BBQ Sauce is almost effortless. 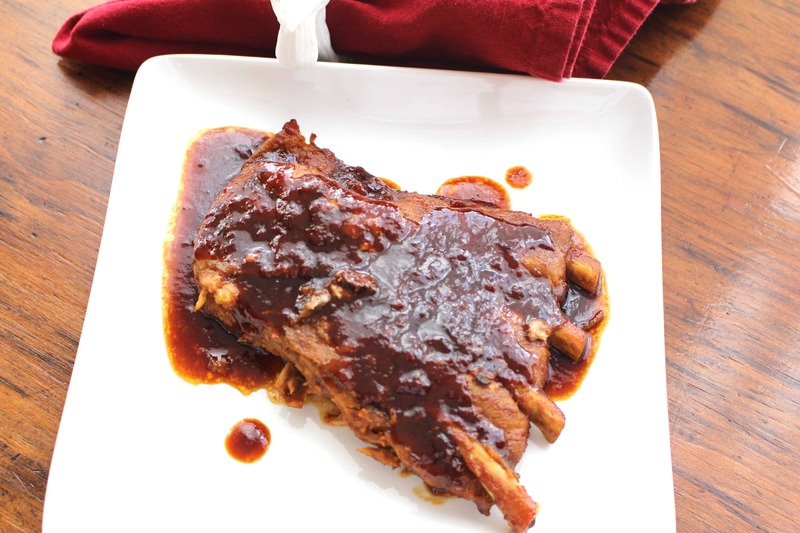 Simply combine ketchup, Dijon mustard, Worcestershire sauce, apple cider vinegar and dark molasses to make the sauce. If you like it spicy, add some Tabasco. Then paint it on your meat and heat it up. Don just eyeballs the quantities, mixes it up, tastes it and adjusts the flavoring by adding a little more of what he thinks it lacks. Roughly, here are the portions for 2 cups: 1 C ketchup, 1T Dijon mustard, 1T Worcestershire, 1/4C vinegar, 3T molasses. If you like it tangy, reduce the molasses and let the vinegar dominate the flavor. Don and I like it sweet so he adds a bit more molasses until it tastes great. Don’t be afraid to experiment! Whisk all of the ingredients until well blended. 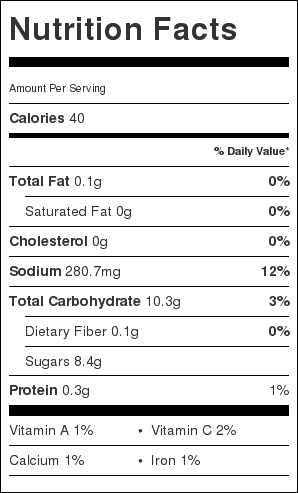 Easy (Barbecue) BBQ Sauce Nutrition Label. Each serving is about 1/4 cup.